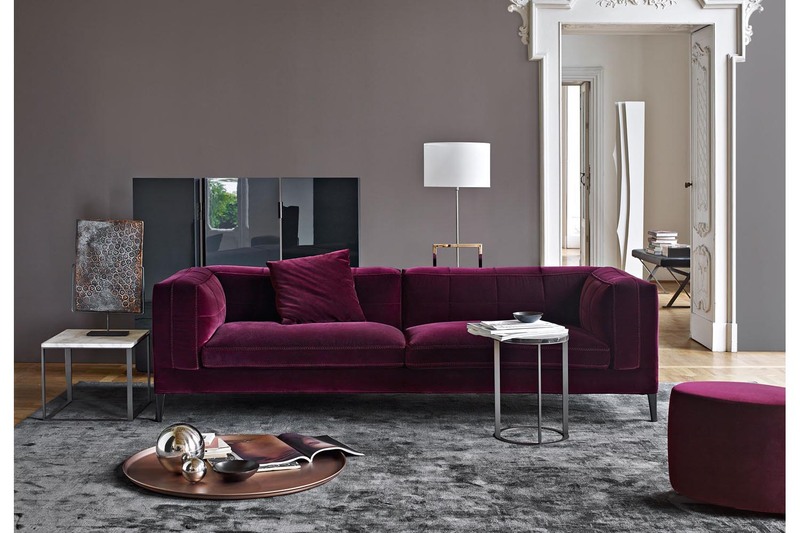 Dives is the ultimate sofa, whose image is enhanced by the armrest that has a taut cover on the outside, and a quilted effect on the inside inspired by the classic chesterfield sofa. 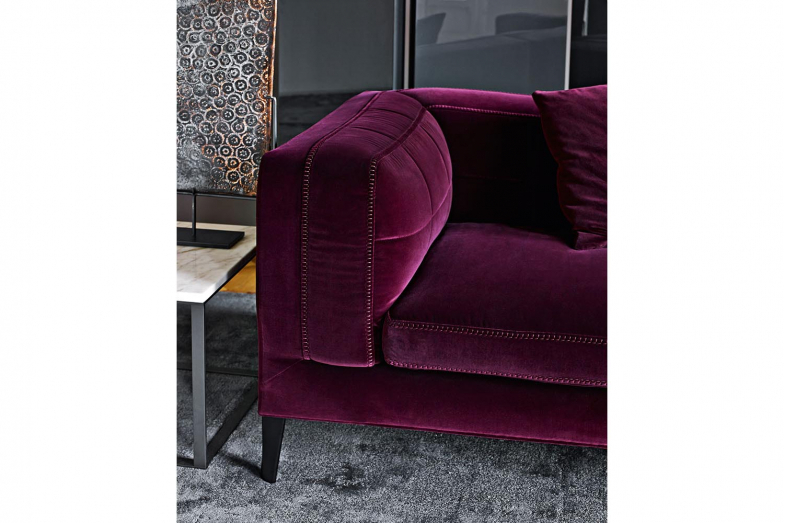 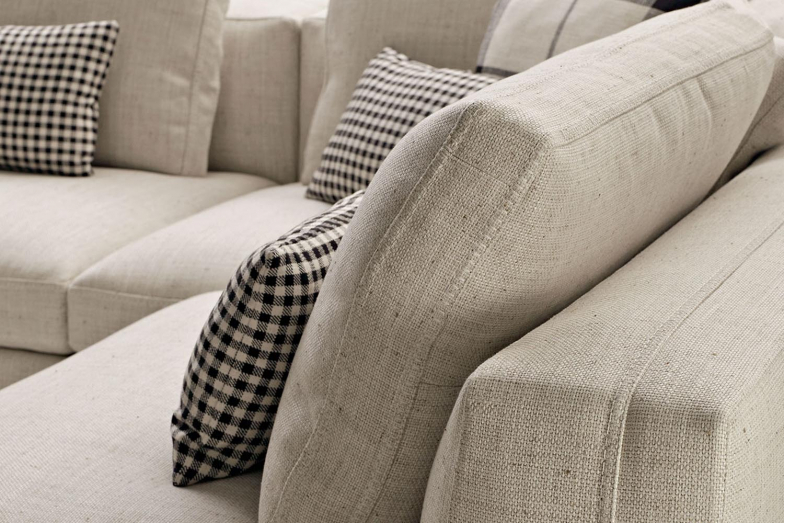 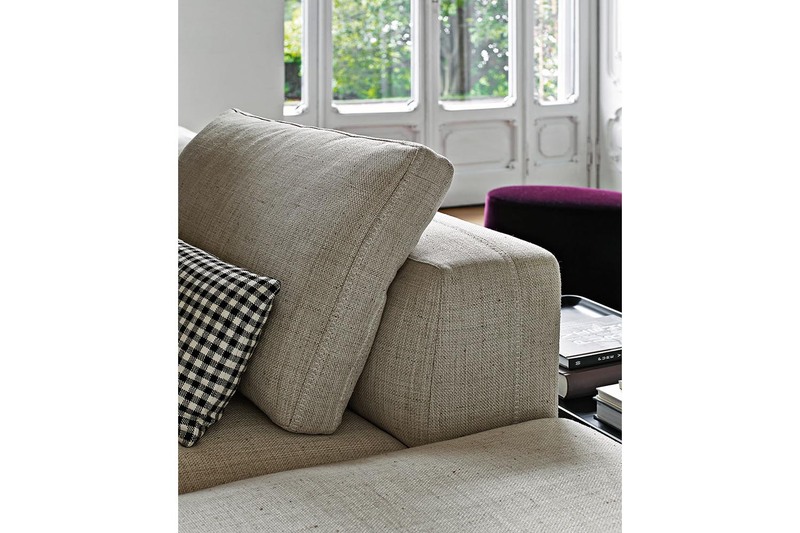 The point where the two finishes meet on the armrest is highlighted by a blanket stitch detail, which is also the profile for the cushions. 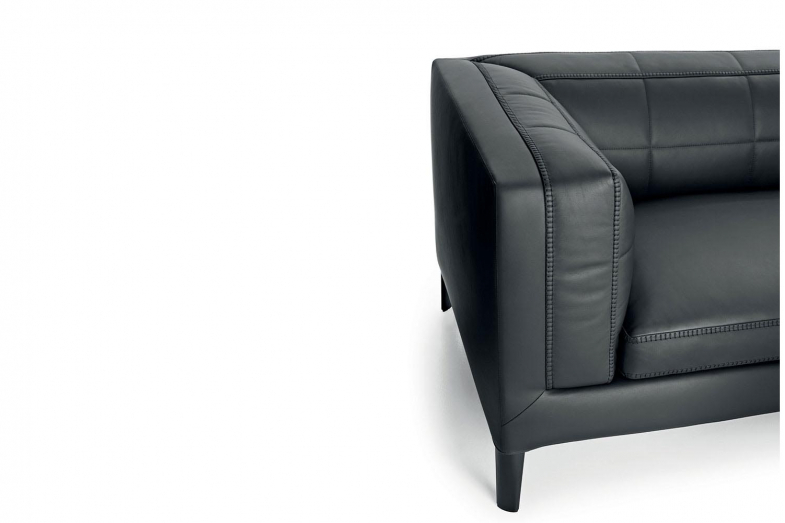 The seat depth is shallow (cm 98 deep), and the feet area available in fabric or with a black shellac finish. 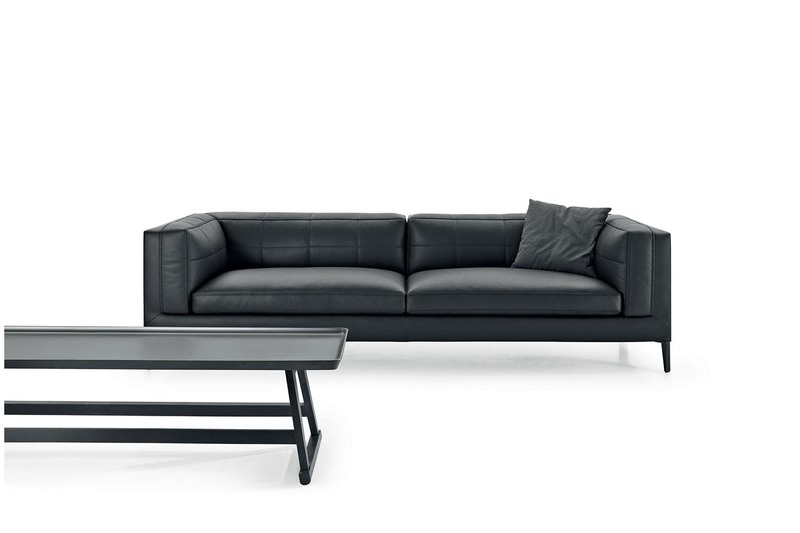 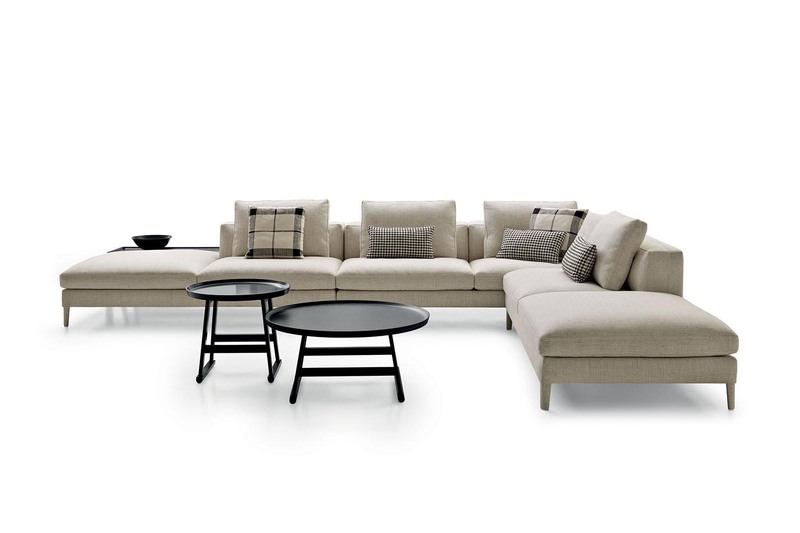 Dives is also available as modular sofa with deeper elements (cm 104 deep), without the quilted internal detail.